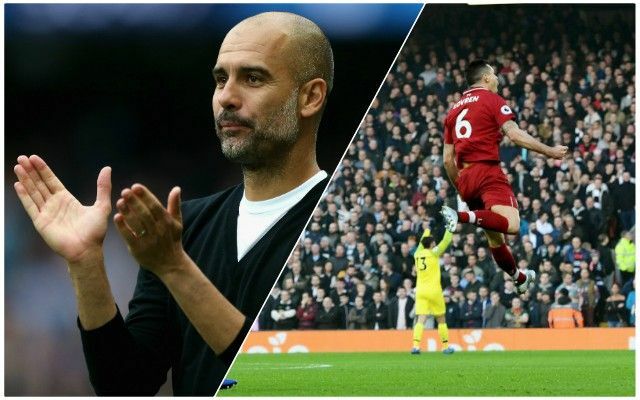 Pep Guardiola was gracious in defeat against Leicester City, saying his side deserve to be trailing league leaders Liverpool after 19 Premier League games. According to Goal.com, he used two words to describe his feelings about Jurgen Klopp’s Liverpool, who go to the Etihad in a week’s time: ‘very good’. Guardiola explained: “Liverpool and Tottenham [who are second] deserve it, they win games and we don’t, the gap is increased. “Last season we had a big gap, this season Liverpool and Tottenham are very good. Manchester City lost against Crystal Palace at the weekend, and against Leicester City today; their goal difference is now the same as the Reds, and there is a seven-point gap. Despite their own troubles, Guardiola is clearly worried about the threat the Reds pose. Next week’s match will be enormous in the title race, with a game at Anfield against Arsenal to come before that. To have accumulated 51 points so far this season is incredible from the Reds so Guardiola is, of course, correct – but it will need to continue into the second half of the season if the title is to be won.